more to uncover for ears and hearts as this new album comes close to its unfurl. RY X is very pleased to unveil some new music, his first since the release of his debut album Dawn back in the spring of 2016. Bad Love is launched with a stunning video shot on location in Mexico. Bad Love is directed by Ry and Irrum. It’s a remarkably visceral re-introduction to this magically haunting artist, recorded in LA and produced by Ry. Ry will also play a string of European live shows in the Spring, many of which will find Ry and his band performing alongside the respective cities’ premier orchestras. The Australian born artist, now based in LA, concluded touring Dawn earlier this year with two sold-out shows at Berlin’s Konzerthaus. Tickets for the 2018 shows go on sale via http://www.ry-x.com on Friday 22nd September – the seven shows conclude at the Town Hall in Shoreditch, London on the 1st March. 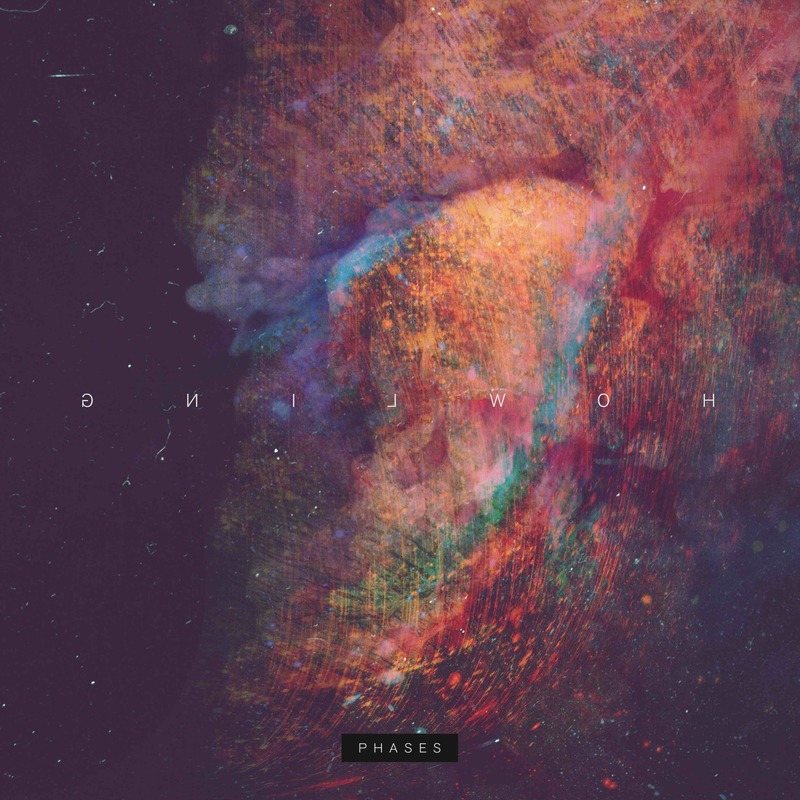 Howling return with “Phases” (supported via RA), the first new music from their forthcoming full-length. Released digitally on 8th March 2017 on Counter Records alongside a club version of the original, the single will be followed by remixes from Alex.Do (Dystopian) and Toto Chiavetta (Innervisions) which will see a vinyl and digital release via Innervisions. Consisting of Frank Wiedemann of Âme and singer RY X of The Acid, Howling released their debut album “Sacred Ground” in 2014 to widespread acclaim. Described as “Flawlessly stunning production… A tranquil masterclass in downtempo electronics” by Mixmag, the record solidified their previous breakout success with the viral track ‘Howling’, and was complimented with a set of stunning remixes from the likes of Midland,Rødhåd and Radioslave. Frank and RY X also took their collaboration out on the road, translating the album into a mesmerising live show and playing a string of sold out shows and festivals in the UK and across the world. They return to play live at Village Underground in London on the 15th April. The Acid singer’s solo project is a captivating wash of soul, folk and electronica. With his pained falsetto and music that knits gently-picked acoustics into spare, electronic surges, Ry Cuming is well armed to document love and isolation. Dawn doesn’t just evoke emotions, though. Its visceral currents and swells, reflect the way those feelings move: the breathtaking drag of heartbreak (“Beacon”); how yearning can rise from a nagging itch to a consuming ache (“Lean”). “Berlin” doesn’t even need a chorus to draw you in–its hymnal longing seeps into the bones like an autumn chill. Be sure to check him on his first headline US tour this fall and check the video below. Summer is finally here, and Chapter 24 leads the celebrations by continuing its free track series with an unofficial bootleg. Following on from the success of KatrinKa’s ‘About Love’ the London label steps things up once more with a captivating reinvention of RY X’s ‘Only’ by emerging duo Stevie R & The Acid Beast. RY X’s original enchanting vocal lines are retained, while deep and dreamy instrumentation is added to cast a warm and hypnotic glow over the track. Cool and restrained but hugely infectious, the full Edition is ideal for summer bar sets, while a punchy and impactful Edit is added to the package for radio play. In their other artistic incarnations Stevie R & The Acid Beast have graced labels as wide as OFF Recordings, Babiczstyle, Parquet and Inside Out before founding this new project together drawing on a common love of acid-laced psychedelic house and techno with live synths, instruments and FX. Catch them playing live at Chapter 24’s new social ‘Second Story’ in London on July 30th. Recorded live, much like every track on ‘Dawn’ the song begins with solo plaintive guitar and fragile vocals building to a crescendo of crushing beats and cinematic soundscapes; his threadbare power remaining at the forefront throughout. Ry X is pleased to unveil a beautifully recorded live version of ‘Sweat’, taken from his debut album Dawn, out now via Infectious Records. Recorded live at Volksbuhne Berlin, much like every track on ‘Dawn’, the song begins with solo plaintive guitar and fragile vocals building over 9 minutes to a crescendo of crushing beats and orchestral arrangements; his threadbare power remaining at the forefront throughout. The shattering climax and rawness of ‘Sweat’ alongside minimal arrangements enhance the songs emotional pull, “’Sweat’ is about the ghosts of past relationships and choosing between loves… you’re sweating in that situation, just as when you run or hit a boxing bag. That’s emotional sweat”. Ry X will play British Summer Time Hyde Park on 3 July, alongside Carole King.